Did Gillum get a sweet deal on the four-night vacation? That question is now part of a state ethics investigation. On Monday, Ron DeSantis doubled down on criticism that Andrew Gillum got a sweet deal during a trip to Costa Rica with lobbyists, accusing the Tallahassee mayor of "crony socialism." "Well, I don't know how that works, because I looked to see how much the Holiday Inn Express would cost right down the street from here, and four nights was like $650," the former congressman continued. "So you tell me how you're able to get a luxury Costa Rica villa for $400. I want to know who your travel agent is." Did Gillum get a sweet deal on the four-night vacation? That question is now part of a state ethics investigation into that trip and another one he took months later in New York. 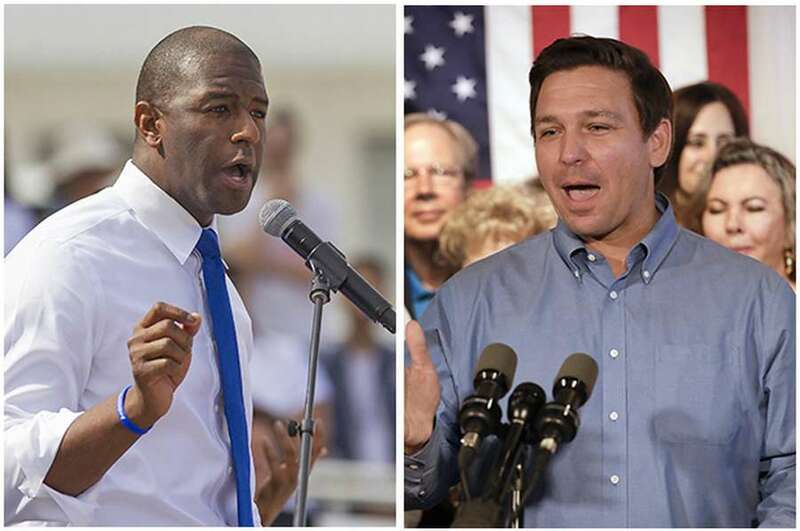 On both trips, Gillum met up with his longtime friend and lobbyist Adam Corey, and in New York, Gillum also met up with two men now believed to be undercover FBI agents. Gillum has described the Costa Rica trip as a vacation for his wife's birthday. Between May 4 and May 8 that year, Gillum, his wife and about 10 other people stayed at a luxury villa overlooking the Pacific Ocean. The trip was arranged by Corey, and other lobbyists and friends joined them, according to the Tallahassee Democrat. Corey's lawyer said he won the lodging during a silent charity auction. According to Gillum's campaign, the villa went for $1,400 a night, and Gillum paid someone $400 in cash for his and his wife's share of their four-night stay. The villa does go for $1,400 a night, according to its website. It has five bedrooms, sleeps a dozen people and features an infinity pool overlooking the ocean. Doing simple math, if 12 people were on the trip, each person's share would have been $116 a night. For Gillum and his wife, that would mean they would have owed $928 after the four nights. However, If the villa was won on a deep discount during the auction, it could possibly have reduced the value of the trip. A spokeswoman for Gillum's campaign said Tuesday that Gillum and his wife "paid for their lodging with the $400 withdrawal and the cash the mayor and his wife had on hand." She did not say how much they spent in total on the lodging, or who they gave the money to. But the appearance and timing of the trip – at the height of the FBI's investigation into city corruption – have raised questions. And DeSantis' campaign has used them to paint the mayor as untrustworthy. "I think it's just, he's not being honest with the folks," DeSantis said Monday. "So there's huge problems when you govern that way, when you're on junkets with FBI agents, when you're the subject of a major investigation involving pay to play and involving corruption." There has been no indication that the Costa Rica trip is tied to the FBI probe, which has yet to bring charges against anyone. Gillum has said he's been assured by agents that he's neither a focus nor a target of the probe. However, the Democrat did find one FBI tie during the Costa Rica trip: On May 5, the day after Gillum arrived, Corey sent Gillum a calendar invitation for a May 16 meeting with two businessmen. After Gillum returned from the trip, he told his staff he was accepting the invitation. The two businessmen later turned out to be undercover agents.